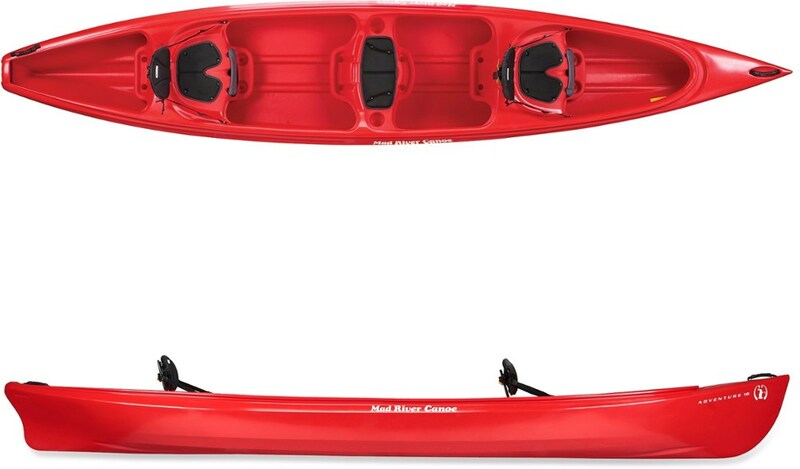 With canoe, canoe seats and paddles, our Old Town Charles River canoe package is the best combination of efficiency and stability for adventures lasting an hour or all day. 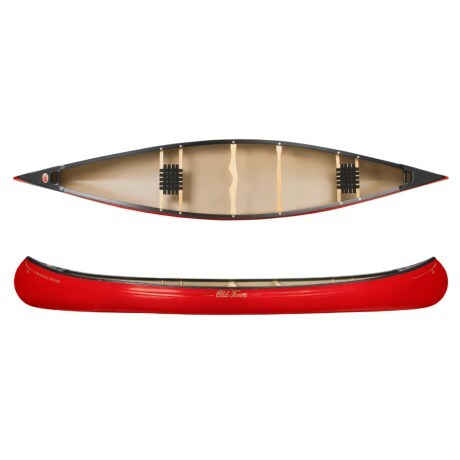 Canoe is made from supertough three-layer polyethlene. 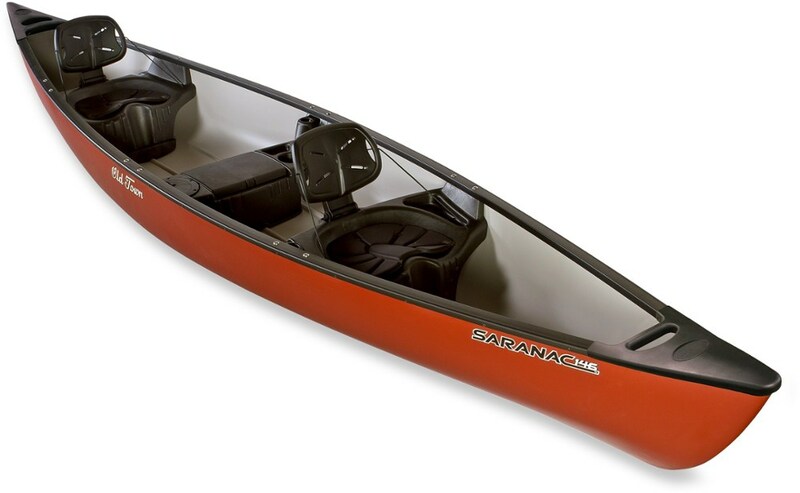 Canoe has rugged vinyl gunwales, ash carrying yoke and thwart and nylon web seats. Lightweight, anodized aluminum paddles have an eight-inch-wide blade and T-grip handle. Folding, two-inch cushioned seats have sturdy, lightweight aluminum frames. 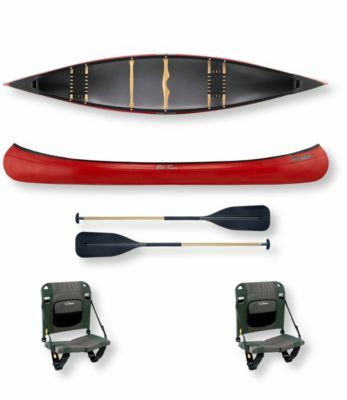 Includes Old Town Charles River 158 Canoe, two Sit Backer Canoe Seats and two Golden Light Paddles. Shallow arch hull bottom allows this boat to glide smoothly through the water in all conditions. 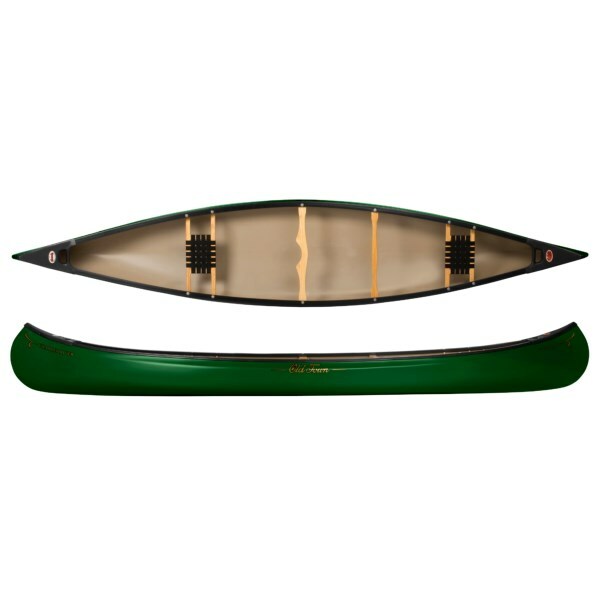 Waist-high tumblehome creates a narrower profile so knuckles won't knock gunwales while paddling. Paddles have a cushioned shaft grip and are reinforced for pushing off from the river bottom. Cushioned seats bend in the center to conform to molded seats on canoe, power boats or bleachers. Adjustable nylon seat straps allow you to change the angle of the seat back. USA and imported. The Old Town Charles River 158 is not available from the stores we monitor. It was last seen December 27, 2018	at L.L.Bean.